At Safe Haven Security, we don’t care about who you’ve been. We care about who you want to become. “Safe Haven Strong” means that we are strengthened by our culture, strengthened by each other and our achievements, and strengthened by knowing that each day, we’ve made somebody’s life safer. We needed someone to come to our home for an immediate installation of a system due to a break in at our home recently. I called Heather after 7:00 pm and she answered her phone and immediately told me she could have an installer at my home the next day. The installer arrived at my home about 12:30 and had me up and secured in about 3 hours. 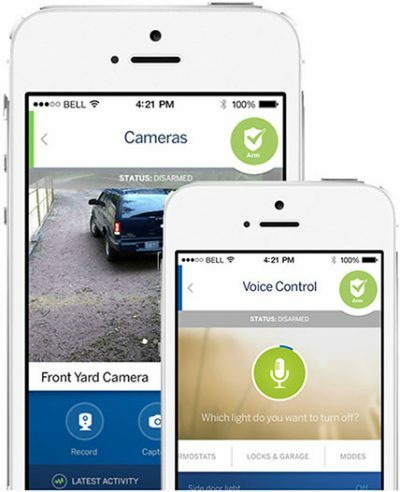 My home is now protected and I have a very impressive system that is efficient and very high tech, I can access my system via my iPhone. Teri Carroll takes such great care of my clients! Her timely communication, professional nature, and great discounts always impress my homeowners. Connecting with ADT as a referral partner helps develop me as a full-service agent, and Teri Carroll never disappoints!! I am a State Farm Agent and recently one of my clients was in need of an alarm system, so I referred them to Hilary Umbles. She was amazing! She kept me in the loop through the whole process to make sure the clients were taken care of after discussing several options with them to determine their exact needs. Thanks Hilary!! ADT Pulse puts your entire home at your fingertips, even if you’re a thousand miles away. $99.00 Customer Installation Charge. 36-Month Monitoring Agreement required at $33.99 per month ($1,223.64). Form of payment must be by credit card or electronic charge to your checking or savings account. Offer applies to homeowners only. Local permit fees may be required. Satisfactory credit history required. Certain restrictions may apply. Offer valid for new ADT Authorized Dealer customers only and not on purchases from ADT LLC. Other rate plans available. Cannot be combined with any other offer. ADT Pulse Interactive Solutions Services, which help you manage your home environment and family lifestyle, requires the purchase and/or activation of an ADT alarm system with monitored burglary service and a compatible computer, cell phone or PDA with Internet and email access. These ADT Pulse Interactive Solutions Services do not cover the operation or maintenance of any household equipment/systems that are connected to the ADT Pulse Interactive Solutions Services/Equipment. All ADT Pulse Interactive Solutions Services are not available with the various levels of ADT Pulse Interactive Solutions Services. All ADT Pulse Interactive Solutions Services may not be available in all geographic areas. Standard message and data rates may apply to text alerts. You may be required to pay additional charges to purchase equipment required to utilize the ADT Pulse Interactive Solutions Services features you desire.